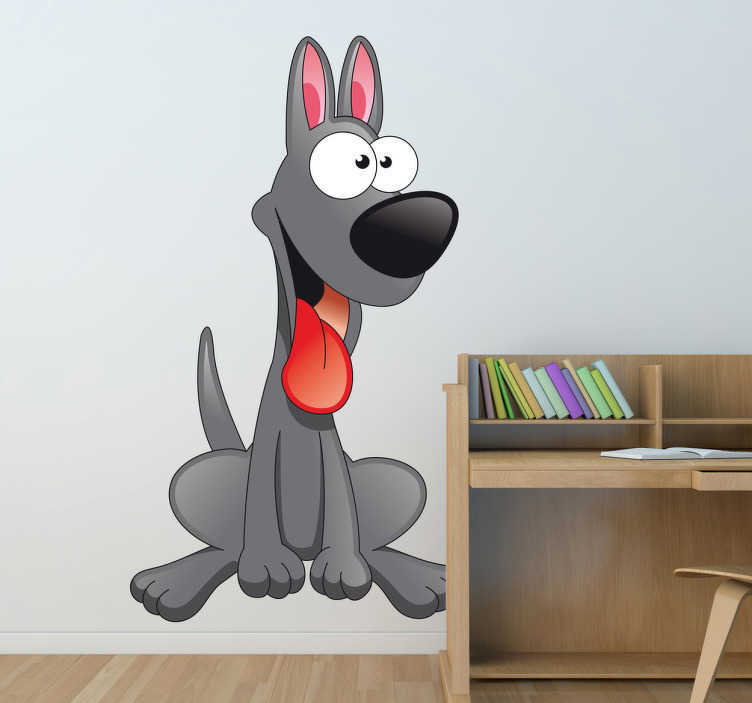 A great animal wall sticker illustrating a lovely grey dog that your children will love. Brilliant dog decal for the little ones at home. If your children love dogs and their bedroom needs some wall decoration then you are looking at the ideal design to make them smile! This cartoon pets wall sticker is available in various sizes and, thanks to its anti-bubble material, it is super easy to apply and remove.